She spins, she wins! Valkyrie has been the most popular tank over the last few months. When looking at her design, she is meant to be excellent at fighting swarms, but should be weak in 1-on-1 combat. Her quick attack speed made her a competent solo fighter, able to take Mini P.E.K.K.A to the brink of death. We have added extra weight to her axe, slowing her hit speed so that she’s not as much of a terror against 1-on-1 specialists and Towers. Royal Recruits struggled in two ways – they weren’t strong enough on defense for 8 cost and lacked control over their placement. A damage increase should make them a more compelling defensive Troop and we changed their deployment to be able to overload one side. In addition, Royal Recruits will now be found in Clan War Collections! Barbarian Barrel has struggled to find a place in Clash Royale since its release. We felt a cost reduction (with trade-offs) was needed to compete with other popular 2-cost Spells. Barbarian Barrel is now a very effective counter to Archers and Goblin Barrel, and can even be cast alone to threaten the Towers with Barbarian steel! Witch can be very hit-or-miss, if you find yourself without a counter she dominates the Arena like few other cards. 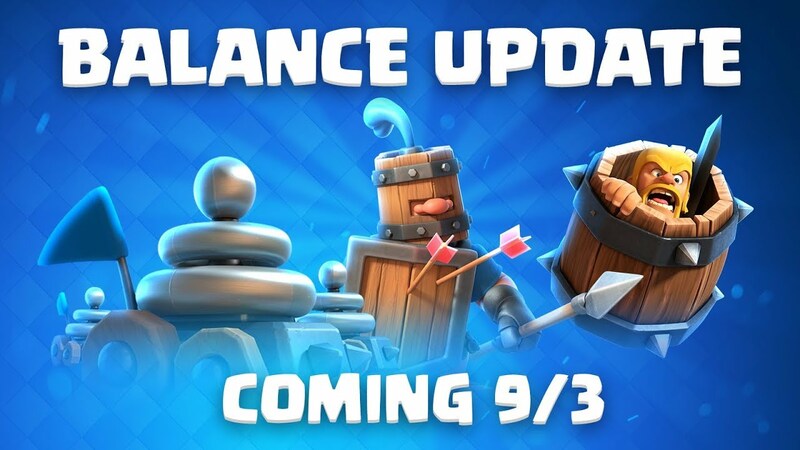 This change will allow players to defeat her with Fireball + Log (or Barbarian Barrel!). She is still a Skeleton-spawning nightmare for those who don’t come prepared, but preparing is a little easier. While the Dark Prince has settled into a healthy place recently, his counterpart needed a pick-me-up to compete in the Arena. For 5 Elixir, Prince was a bit fragile compared to other melee attackers, and this health boost will make him more formidable in combat. Along with Barbarian Barrel, Lightning has seen relatively little play despite the popularity of medium sized Troops. This slight damage buff will make it a little more compelling compared to the popular Fireball, Poison, and Rocket spells. Who let the Hogs out? Okay, we did. 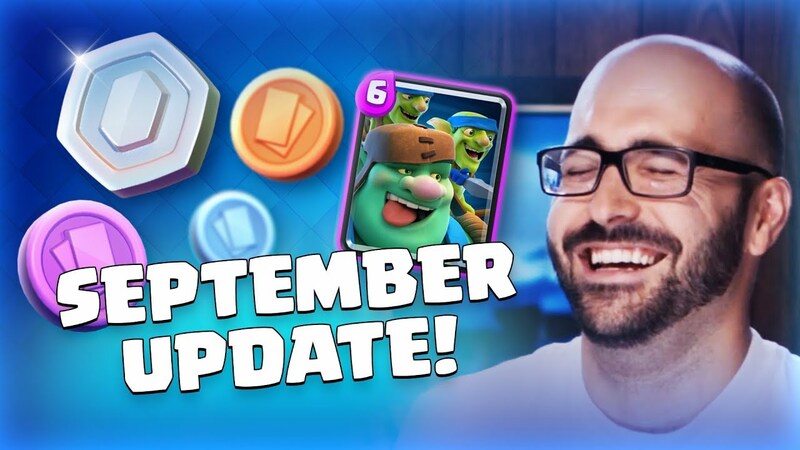 Royal Hogs skyrocketed from a 1% use rate to being more popular than Hog Rider in Challenges! We don’t think they are too far off from balanced, so a slight reduction in Hit Speed should reign those regal piggies into a healthy range without putting them back in the stables. Last month we did a host of improvements to the Cannon Cart and made it just slightly too strong. We are happy with the increase in usability, but the very high win rate was concerning. Cannon Cart locked onto Towers so quickly that it was very difficult to block damage – even for exceptionally skilled players. A shorter range will give opponents slightly more time to intercept it, especially when played in the center. These miniature zappers have been sneakily powerful for the last few months, consistently holding one of the highest win rates in the game despite steadily rising use rates. Their unique Hit Speed and reload time was causing some issues, so we made them consistent, by slowing down their first attack after moving but preventing them from being stun-locked by other Zappies. How does the Goblin Giant work? What are Trade Tokens? !